This Happy Pig is Sure Not to “Boar” You! 2019 is the Year of the Boar in the Eastern Lunar Calendar. 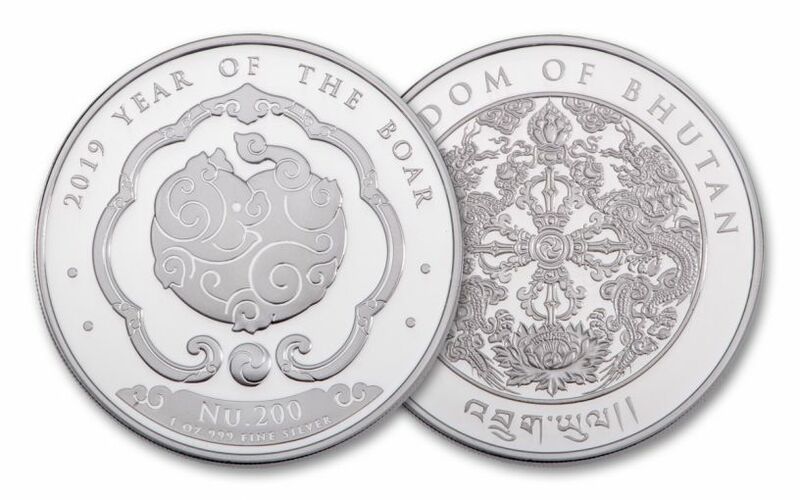 Piggy-backing on that theme, the Kingdom of Bhutan has released a spectacular silver coin that honors the boar with a delightful design that captures all of the traits associated with the porcine celestial being. Your 2019 Bhutan Lunar Boar One-Ounce Silver Coin will come in gorgeous proof condition, as fresh and crisp as the day they left the mint. With the widespread demand in Asia for culturally significant collectibles, these superb coins are sure to be a popular item in 2019 as Year-of-the-Pig fever spreads across the continent. INTRICATE DESIGN HONORS YEAR OF THE BOAR – The latest release in Bhutan’s “Happiest Lunar” coin series, the 2019 edition pays tribute to the Year of the Boar with a stylized on the obverse. 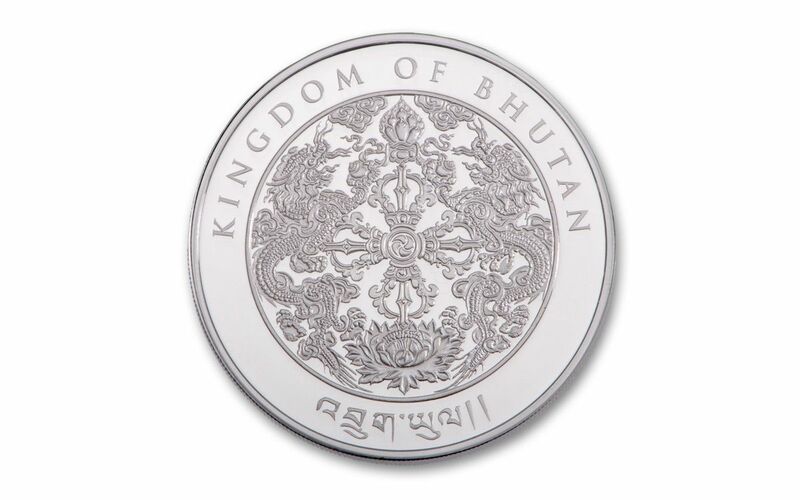 The coin’s reverse features a pair of intricately design dragons in honor the ruler of Bhutan being referred to as The Dragon King. STRUCK IN HIGHLY-PURE SILVER – Each 2019 Bhutan Lunar Boar Silver Coin is struck in one ounce of highly-pure 99.9% silver. BHUTANESE LEGAL TENDER – These 2019 Bhutan Lunar Boar One-Ounce Silver Coins all bear a legal-tender denomination of 200 Ngultrum (Nu). 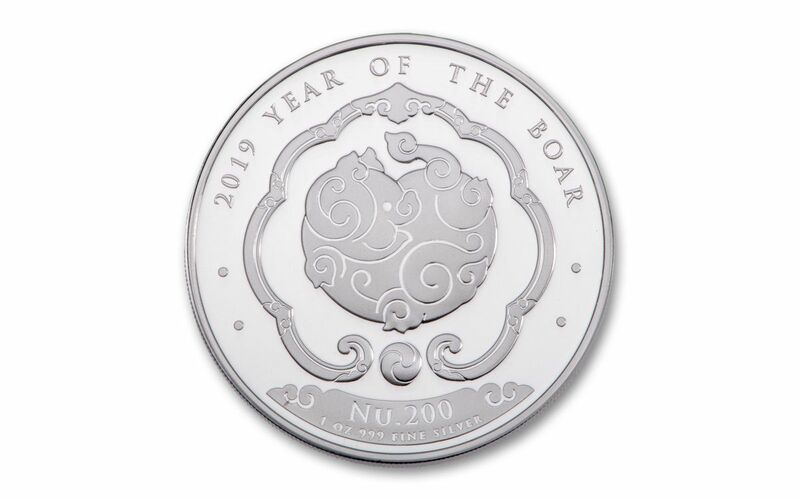 GORGEOUS PROOF CONDITION – Your 2019 Bhutan Lunar Boar One-Ounce Silver Coins will come in gorgeous proof condition, as fresh and crisp as the day they left the mint. LIMITED EDITION – Your 2019 Bhutan Lunar Boar One-Ounce Silver Coin is from a maximum worldwide limited edition of 200,000 coins. There’s nothing “boar-ing” about this pig! Celebrate the Year of the Boar with the 2019 Bhutan Lunar Boar One-Ounce Silver Coin. Order now and it will have you squealing with delight!